The good news is it appears all parties want to see this happen because everyone has something to gain: revenue for government; fairness and simplification for taxpayers. That said, massive reform should be done methodically to avoid litigation and avoidable mistakes. 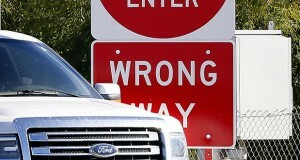 Wrong-way drivers present an obvious danger to all motorists on our highways. While cities and states should work to improve signs and barriers and utilize ITS-based solutions to reduce or eliminate wrong-way accidents, public awareness along with social responsibility could be an effective way. A judge will decide whether this lawsuit has merit. But there is a bigger issue at stake. In the end, either the universities will continue to have the liberty to create new streams of revenue and provide business opportunities to the community that lead to positive outcomes, or they will not. In any case the vibrancy of our new age economy for generations to come depends on it. We are two of the 1.2 million independent registered voters in Arizona who pay taxes that fund the Arizona Presidential Preference election but are forbidden from participating in it unless we re-register. Equality in life, liberty and the pursuit of happiness constitutionally is guaranteed to all American citizens. That very notion is so etched in our nation’s history and seared in our hearts and minds that its absence defies logic. Nonetheless, more than half of U.S. citizens lack equal application and protection of law under the Constitution. Sixty years ago, Arizona Gov. Paul Fannin looked south across the border to Mexico and famously said, “God made us neighbors; let us be good neighbors.” It was then that the stage was set for the Arizona-Mexico Commission, an international entity that works to foster economic partnerships and an enduring friendship, which has only grown stronger through the challenges of the intervening decades. The idea of spanning generations with these types of public-private educational partnerships is incredibly rewarding for me – a woman who was enabled to pursue a successful career in aerospace that has allowed me to engage in challenging work which is even more exciting than what I ever imagined as a student. Investment in Arizona’s developing minds represents investment in America’s technological future. What type of investment can you or your organization make today? At the Arizona Association of Community Managers, we do all that we can to support our management company members and their goal of providing excellent employment opportunities, and we look to our state legislators to help drive economic growth and to protect the industries, including the HOA industry, which provide tens of thousands of jobs within the great state of Arizona through sound policy decisions and effective legislation. Remarkably, I learned at last week’s Senate Finance Committee hearing that there are some people who still don’t know Save Our Schools Arizona’s stance on the Empowerment Scholarship Account voucher program. As an educator, I’m accustomed to repeating myself over and over again day after day for years on end, so I’m more than happy to apply that skill here. Ensuring that all students have access to a knowledgeable school counselor will be a powerful step toward increasing college access and toward reaching our statewide attainment goal of 60 percent by 2030, as set by Achieve60AZ. To this end, funding for school counselors should not be seen as an expense.